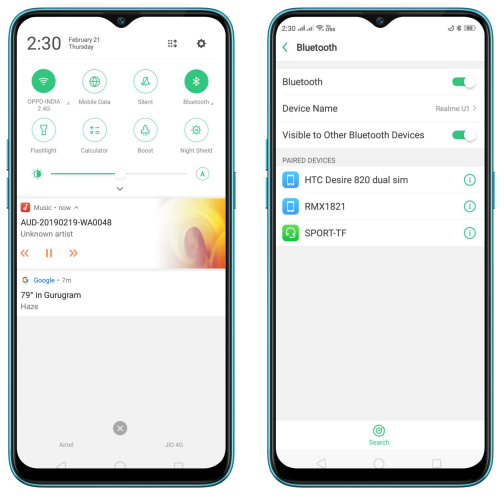 How to Transfer files over Bluetooth on your realme Smartphone? 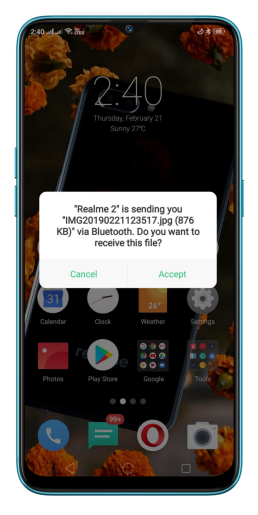 Learn how to transfer files between your realme smartphone and other Bluetooth devices. Swipe up from the bottom of the screen to bring up the Control Center, then click. If you use navigation gestures, swipe up from the left bottom of the screen. You can also go to [Settings] > [Bluetooth] and toggle the slider to green. Notice that appears in the status bar. 1. 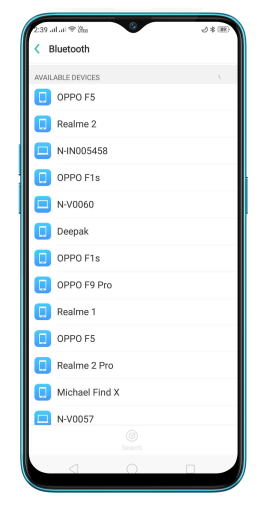 Enable [Phone Visibility] to make your realme phone visible and detectible by the nearby devices. Make the target Bluetooth device discoverable, too. 2. Click Search to scan for the device that you want to pair. Once detected, click the target device. 3. 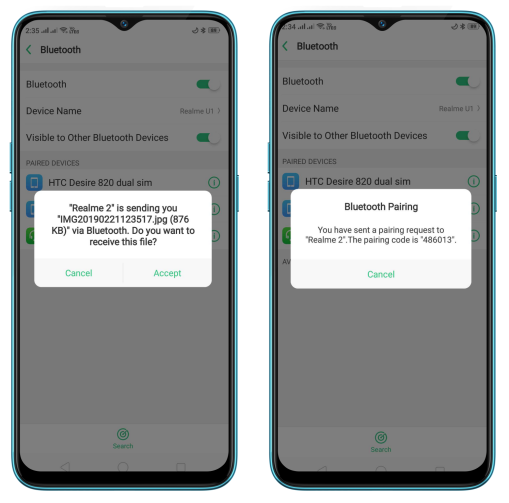 A request interface asking to confirm the pairing code will show up on both devices. Click Pair on the target device and start pairing. 1. 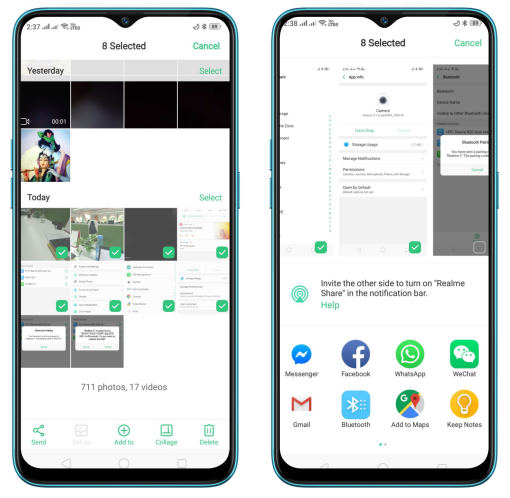 Select data you want to transfer from Files, or open files from Music, Photos or other apps and share them via Bluetooth. 2. Choose a Bluetooth device to transfer the selected files. 3. A request interface will show up on the target device. Click Accept to start file transfer.